“I don’t feel at home in this generation” moans one of Black Rebel Motorcycle Club’s two vocalists in their song “Generation.” No kidding, BRMC’s music sounds as if it was pulled straight out of a different decade. Ever since their glorious debut in 2001 they have been compared to everyone from Jesus and Mary Chain to Love & Rockets. These comparisons, as flattering as they are, often hindered the listener’s ability to decide whether or not they enjoy BRMC’s music for what it is, a beautiful mixture of dark, poetic lyrics and poignant music, and not only because of the resemblance to those other bands. 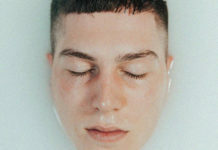 After touring for two years and struggling with drummer Nick Jago’s visa problem (which was resolved by some help from, of all people, Bono), they finally return to the scene with a new album that is both elegant and mysterious. “Stop”, the first single and first song on the new album, grabs your attention as soon as it begins. It starts off simple enough, a single riff being played over and over. Then the drums and guitars kick and it feels as though you are being lead into an exciting new world. When the vocals come in, the entire scene is complete. You are no longer part of your world; you are a part of theirs. Songs such as “Generation”, “Six Barrel Shotgun”, and “Rise and Fall” are true rock songs. 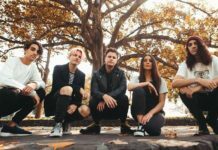 Filled with booming guitars and mellow vocals these songs exemplify what modern rock songs should be: insightful yet rockin’, technically outstanding yet catchy. Their sound varies from song to song. One track that stands out from the entire group is “And I’m Aching”, an extremely introspective acoustic number. It happens to be the only acoustic track on the album but it holds its own when compared to the other songs. Alone with only a single voice and acoustic guitar this song manages to evoke emotions that other tracks simply look over. You can feel the pain that gave birth to this song through the haunting vocals. The lyrics paint a scene of an abandoned person, whether this person is an abandoned lover or not is up to you, just trying to “move on” despite the fact that everything that was keeping them strong was taken away. 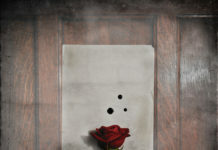 “In Like The Rose”, another song that starts off strong, comes at you with staccato guitar bursts, a steady beat, and booming vocals that meander lazily throughout the entire song. It possesses one of the catchiest opening riffs on the entire album. “Suddenly” starts off rather unassumingly with strikingly beautiful guitars and a haunting melody but as the song continues the guitars get stronger, the drums intensify, and the vocals stay constantly evocative. As “Suddenly” ends you may find yourself saying, “What could possibly come next? !” The last track on the album answers that question without doubt. “Heart & Soul” opens simply enough, slowly the drums come in and they continue to intensify until all is put together and they start off what will be seven minutes of driving beats. “I don’t think you care to know but you’ve taken out my heart and soul”, this lyric is delivered with an acidic tongue that remains present the entire song. By the time the second chorus jumps in you can tell that this song is going places that the others didn’t dare wander. The musical high of this track comes toward the end where screeching guitars and intense drums take over and lead into the end chorus. With impressive lyrics and outstanding music “Heart & Soul” is a perfect way to end this album. Black Rebel Motorcycle Club may be flawed (their influences shine through a bit too clearly for some) but through this album it is evident that they have evolved immensely from their last release. 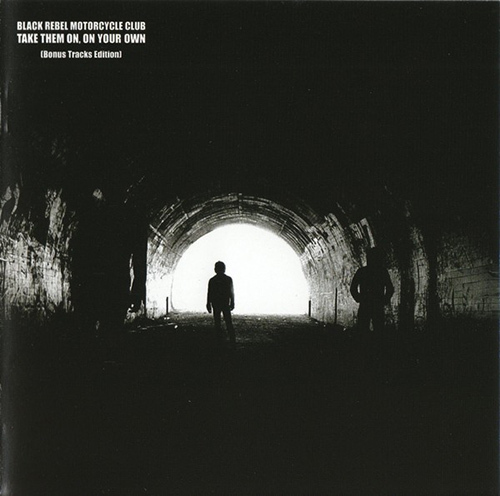 With Take Them On, On Your Own BRMC pumped up their songs with heavier riffs and stronger beats and could be the release that gets them the recognition they deserve.